Slideshow: Once covered by a tarp in the family driveway, one 1966 Mustang has been lovingly and carefully restored. Adorned with many new parts and modern conveniences, the classic looks and runs better than ever. 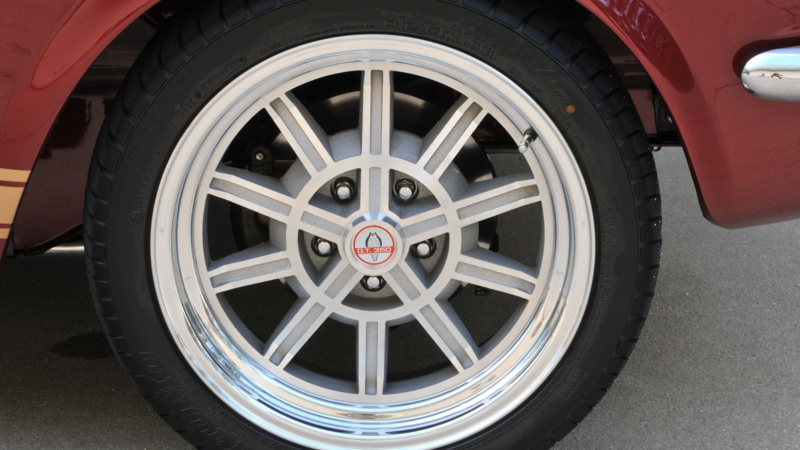 What began as a fun time helping to show and restore Ford beauties at a car show in the 60s became a lifelong obsession with the brand for Steve Harrison of Dacula, Georgia. 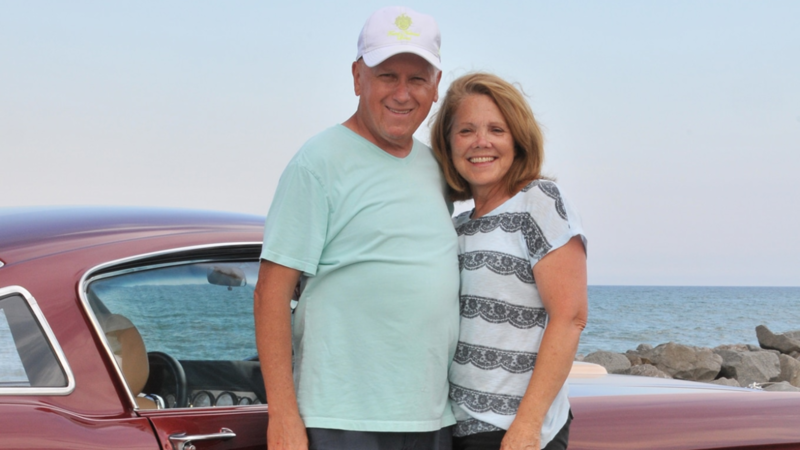 When the opportunity came along to purchase a 1966 Fastback Shelby that had been a part of his wife's family since new, Harrison couldn't wait to get started restoring the beloved family heirloom. Over 10 years later (and with the help of experts) the 53-year-old car looks and runs better than ever. Photos are courtesy of HotRod.com. From long road trips to family adventures, the 1966 Mustang Fastback (purchased new) was pretty much just your average muscle car. Harrison's wife, Jan, took her first driving test in the car, as did her mother. The Mustang belonged to Jan's father, but after years of use, the old Fastback ended up spending a lot of time sitting on the shelf. 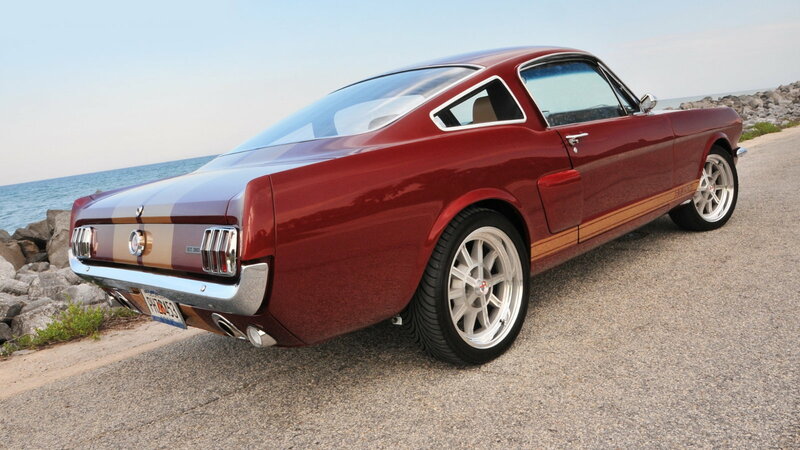 >>Join the conversation about this '66 Fastback Shelby Clone right here in The Mustang Source forum. It wasn't exactly placed into storage, but the beloved family car spent two decades as an outcast of sorts, sitting under a tarp as other cars came and left the family. After Jan's father passed away, Steve bought the car and began an extensive restoration project. Steve and his sons got to work on the car, but soon realized they would need some additional help. Don Head from Don's Collision Center in Lawrenceville, Georgia got to work on the interior. From the sheet metal in the trunk to the doors, front fenders and more, many different parts were replaced. The large project concluded with a total undercarriage paint job. 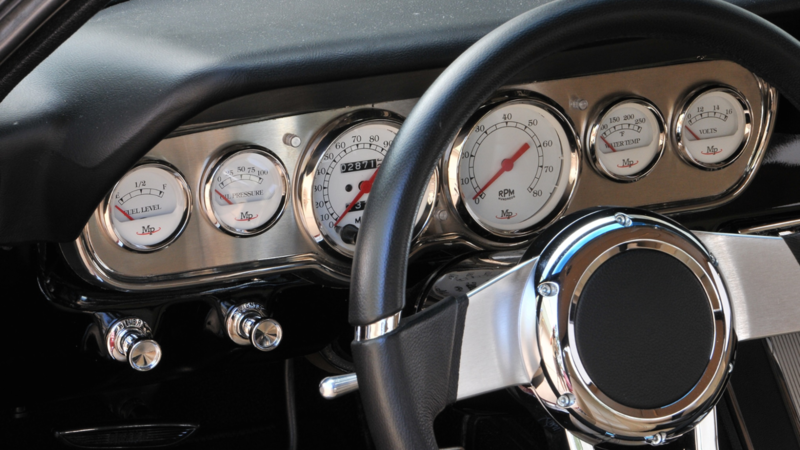 Restoring the car meant more than just returning it to its original condition. Steve and his family opted for modern comforts such as air conditioning, power windows and locks, and a power trunk lid. On the outside, the car remained largely the same, with the exception of a handful of additions. Bullet side mirrors, LED headlights, and a Shelby fiberglass hood were just some of the improvements made to the vehicle's exterior. Looks weren't the only thing changed during the renovation. The goal was to run a Shelby-like motor with a 350 horsepower output, with a transmission to match. 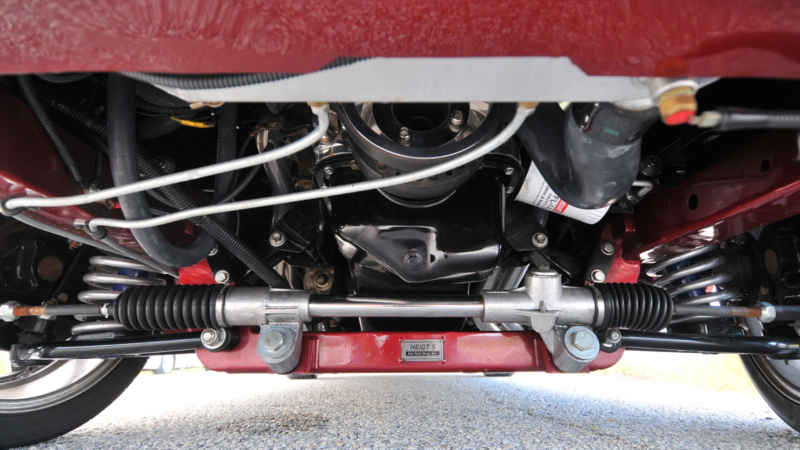 Rack-and-pinion steering was added, along with an upgraded rear suspension system and disc brakes for greater stopping power. The aerodynamic nature of the fastback body style enhances its speed and performance even more. 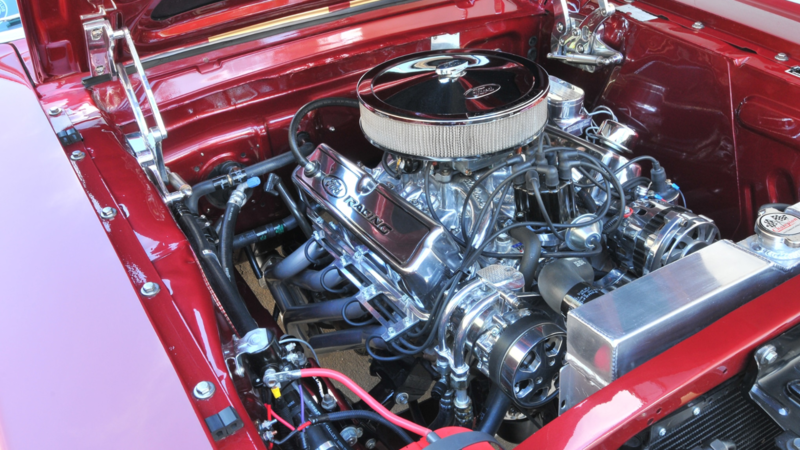 This '66 Fastback had a total under-the-hood makeover, complete with a Ford Performance 302 crate engine. Additional polished aluminum and chrome details only add to the beastly arrangement. Coupled with an automatic transmission, the output is a healthy 340 horsepower. 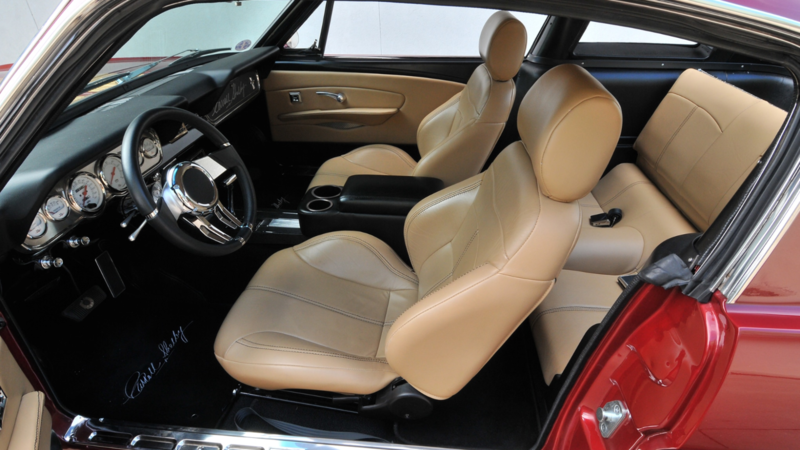 The interior work completed on the car was done with the assistance of Wayne Lundy Interiors from Lula, Georgia. Not only did the Fastback get new seats, but the headliner, door panels, and seats were also all finished with the same leather. The sound system got an equally exciting boost, with classics from the '60s now blasting from the RetroSound stereo system with a speaker mounted in the middle. Although the car was extensively renovated on the interior, the glovebox door might be the most memorable finishing touch. 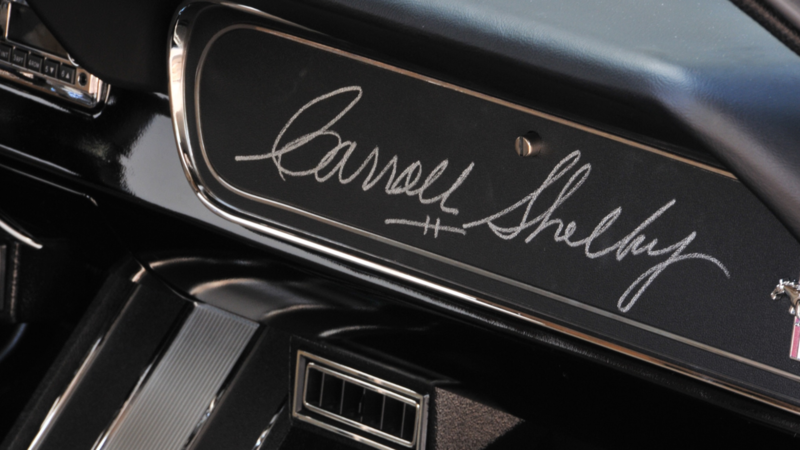 Jan sent the door to Carroll Shelby, renowned racer and car builder who was lauded in part for his efforts to reintroduce various Mustang-based Shelby cars following his successful racing career. 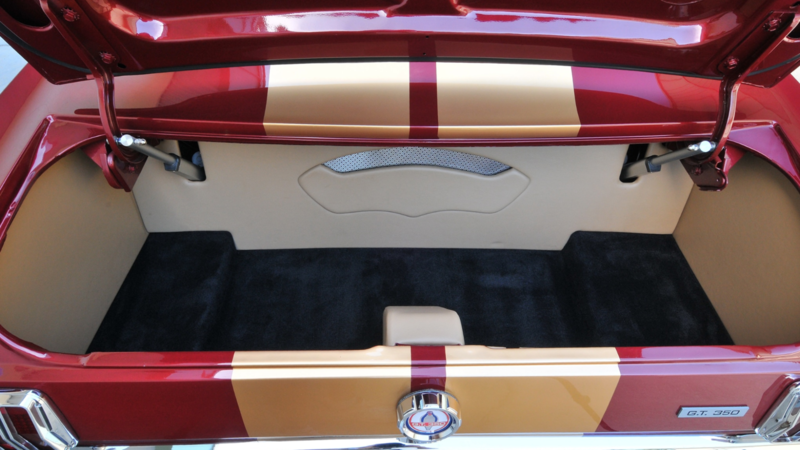 A Shelby-signed door completes the extensive interior makeover. Over a decade later of intense restoration efforts, the 1966 Fastback remains a cherished family heirloom. Once the car was ready to hit the road, Steve and Jan took part in the 2018 Hot Rod Power Tour. 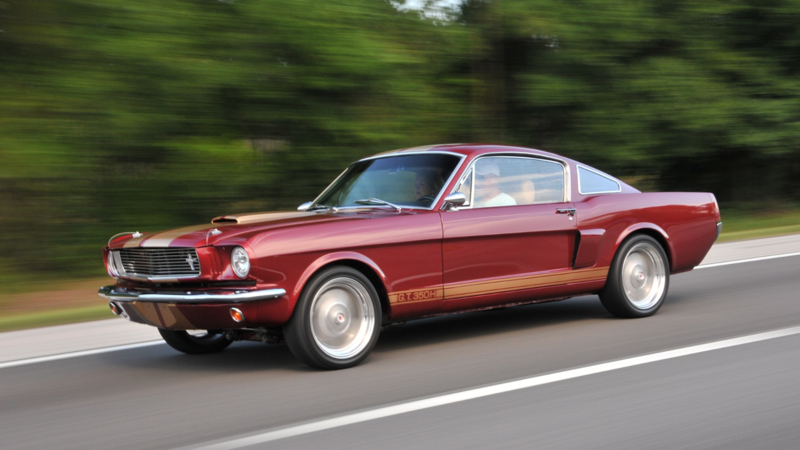 The tour spans seven cities and lasts for a week, providing glimpses of rare gems such as this 1966 Fastback.